In addition to providing education materials to their school, Hope is Life is sponsoring the education of a group students in the village school of Katavali, India. Umesh, pictured above, was born on December 12, 1998. He lives in a small mud hut with his father, a farmer who earns less than one dollar a day. He lost his mother when he was young, and his sister fell victim to a fatal accident years ago. 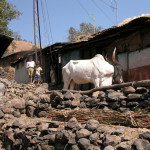 Umesh’s village consists of nearly over one hundred households, with most of them farmers. 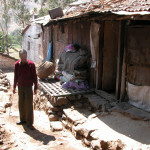 His house has no electricity, no water and no toilet facilities. Umesh’s dream is to become a doctor. He wants to help the people in his village. He loves to sing and helps his father with chores when he returns from school. He loves cricket, which is the most popular sport in India. 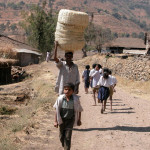 Anita is another eight-year-old child who is receiving a scholarship. Her father is mentally handicapped and is confined to the house. He has no income and the entire family survives on less than one dollar a day. 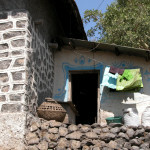 Her house is one small mud hut – four walls with a small mud stove to cook their meals. Like other houses in the village, Anita’s house has no electricity and no water and toilet facilities. Anita’s dream is to become an engineer. She likes reading and writing. She loves short story books. Her daily routine is to help her mother carry water from a public well and sweep the mud hut before she goes to school in the morning. Priyanka Jadhav is an eight-year old girl whose dream is to become a teacher. She loves to read. Priyanka’s bed is a small piece of an old, thick blanket in the corner of their hut. Every morning she walks to a public well nearly a mile away to bring water for the household needs. In addition to the three students above, Hope is Life is sponsoring the education of this group of students shown above as part of our Asmara Scholarship Fund.